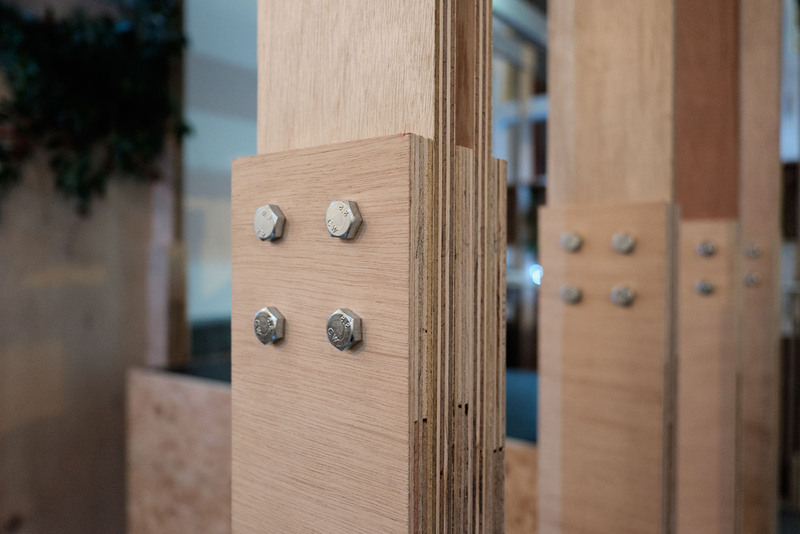 PLYWOOD + Bolts is a temporary structure based on a repetitive series of simple components and junctions. 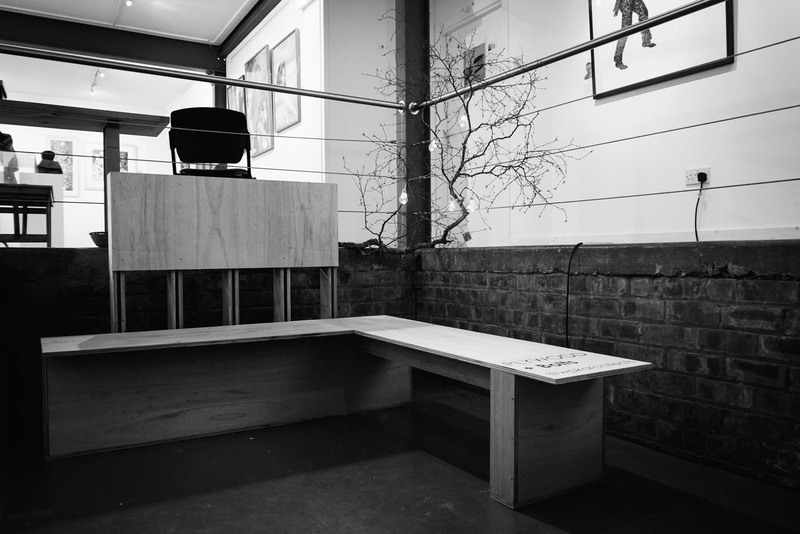 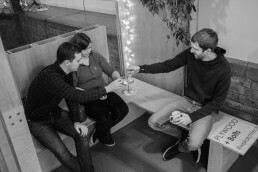 This creates a flexible, adaptable, demountable covered space and seating area. 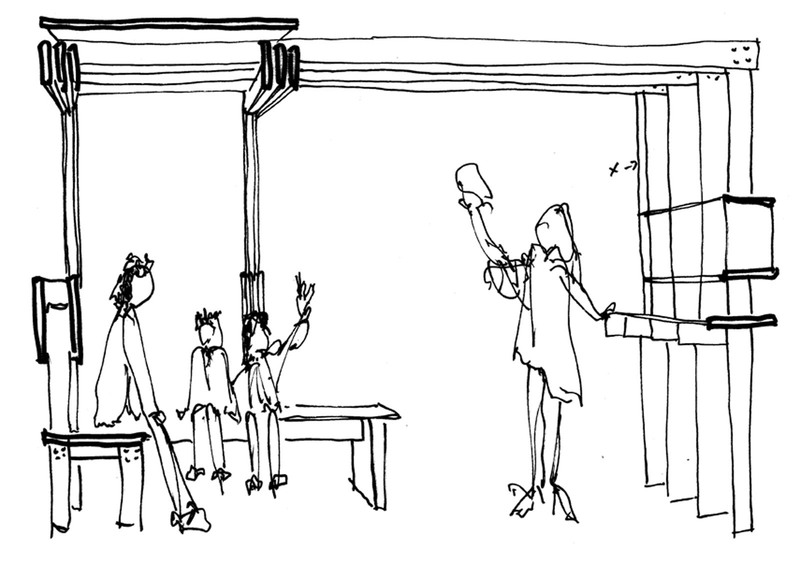 The elements can be reconfigured to occupy a larger open area or positioned to create an enclosed social space. 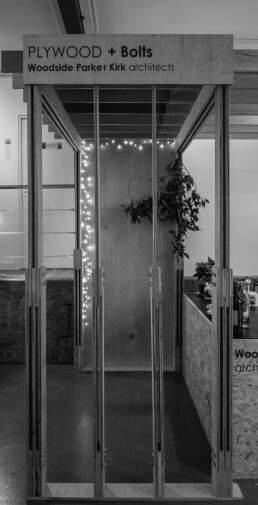 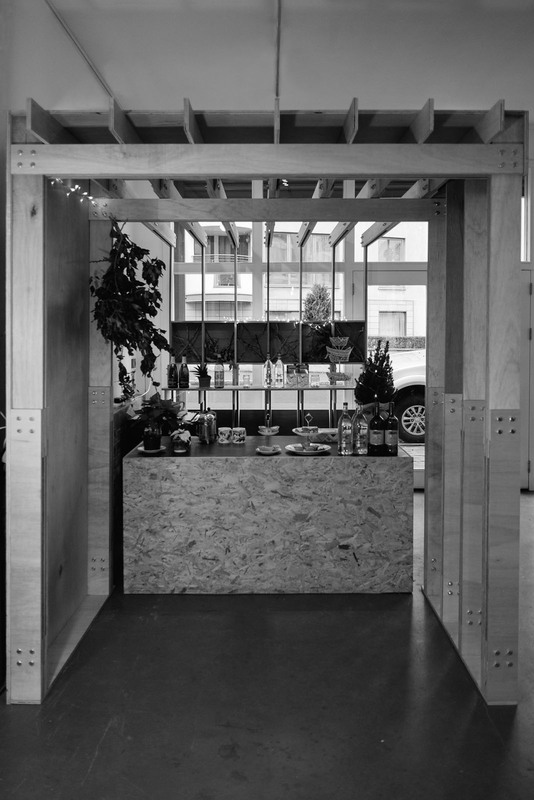 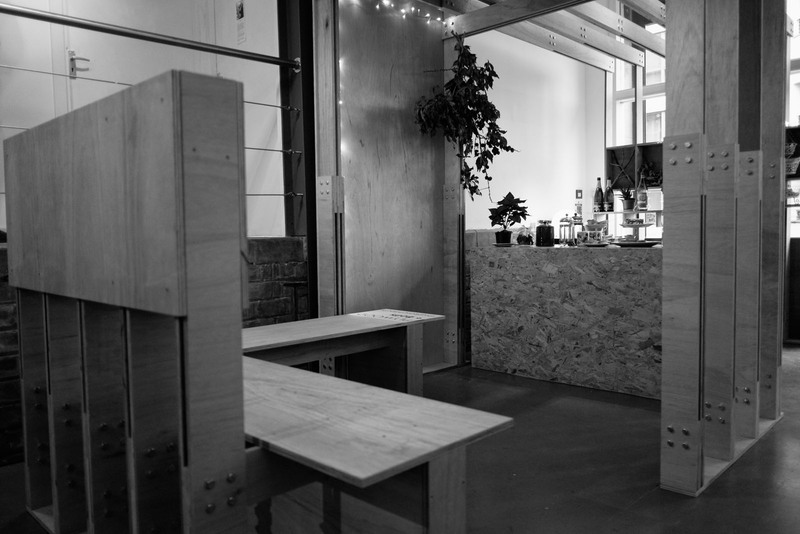 The structure has potential to be used internally or externally and is ideal for a cafe, bar or retail stall. 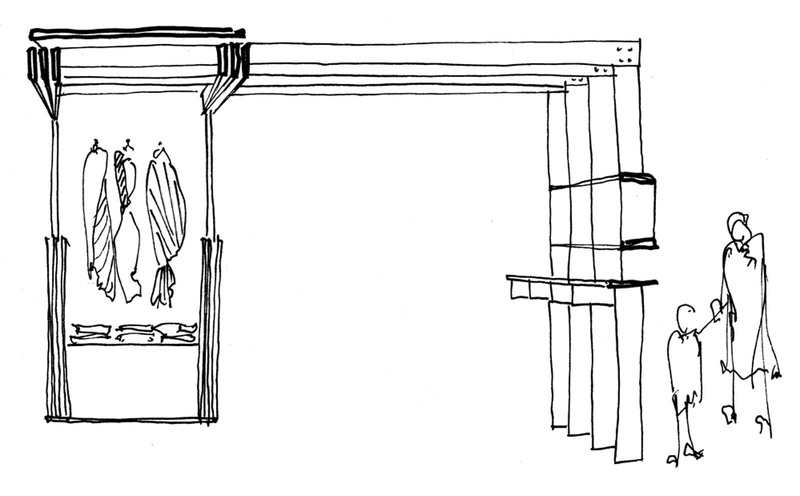 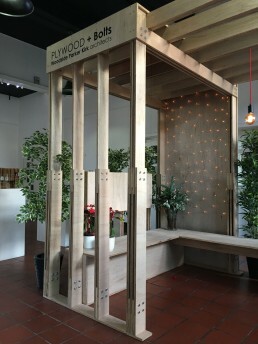 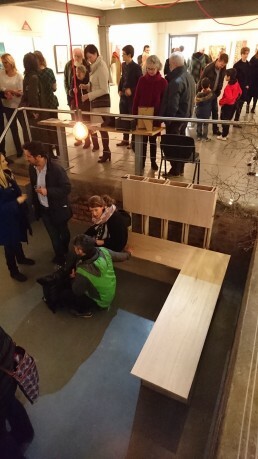 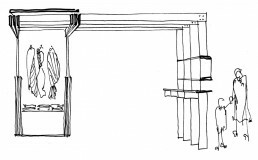 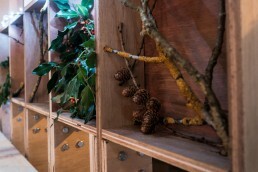 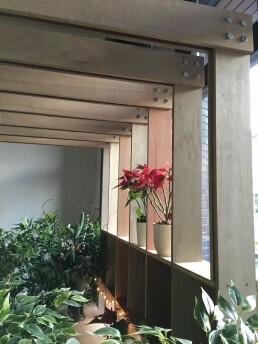 PLYWOOD + Bolts could also be used in a domestic or public garden to provide a space to gather, relax and interact. 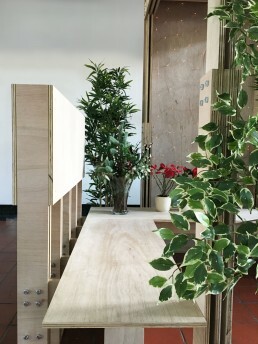 The installation can be demounted into a series of elements or further deconstructed into individual components depending on the scale of transport available. 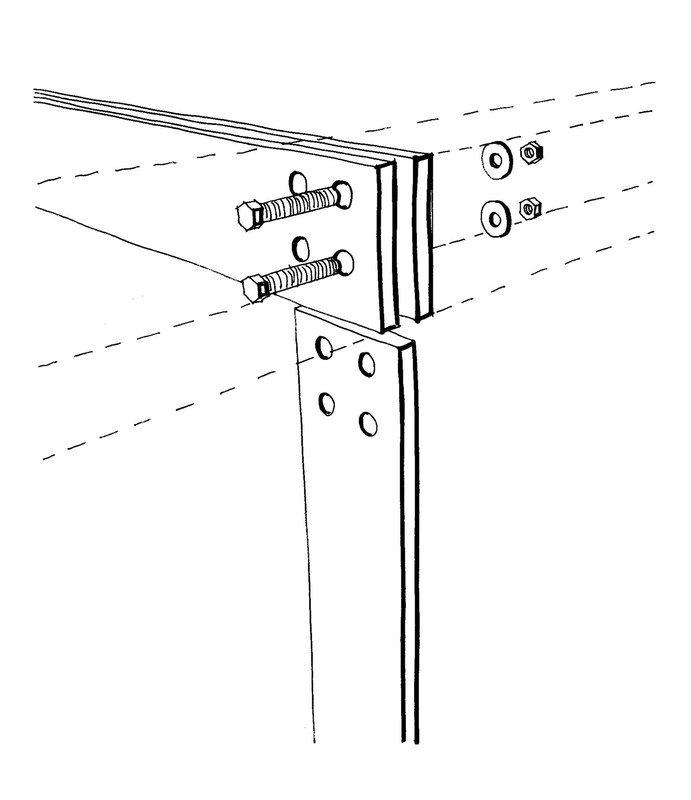 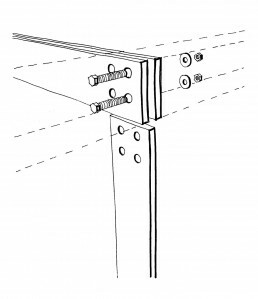 With future modifications, including treatment of the timber and the design of a foundation or anchor system, PLYWOOD + Bolts will be suitable for external use. 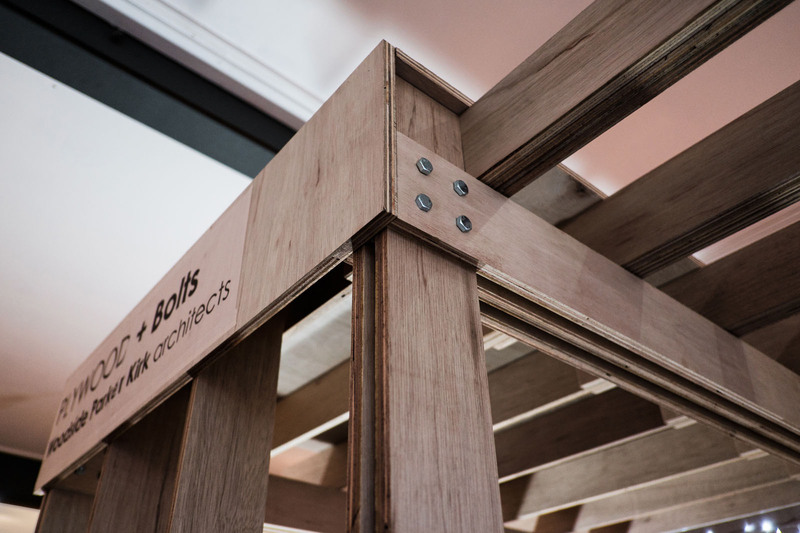 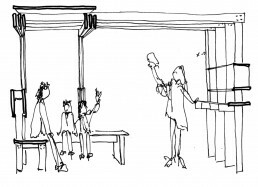 Due to the nature of the design there is potential for adaptation and modification to alter the scale and size of the structure to suit a variety of uses and spaces. 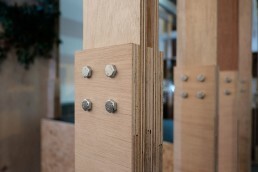 We would be delighted to discuss the future use, manufacture and assembly of PLYWOOD + Bolts with any interested parties.